Last updated 05 December 2018 . By Georgia Evans. 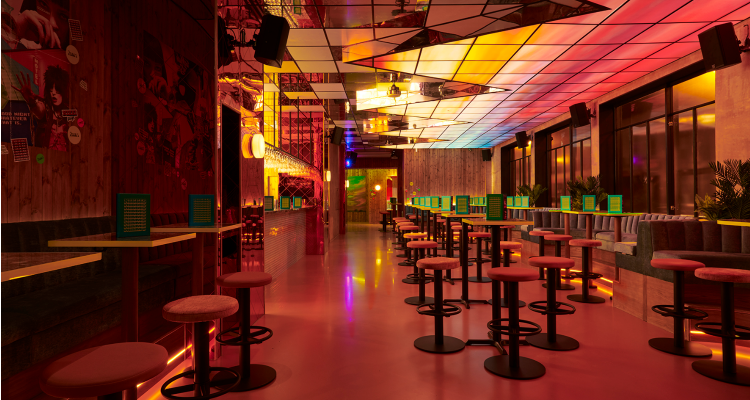 Like its sister sites Blame Gloria, Bar Elba and Tonight Josephine, Nikki’s is a party bar that oozes sass and a carefree vibe. Taking inspiration from Hollywood badass women, and dare I say Quentin Tarantino's aesthetic, the pinewood lined walls feature images of Mia Wallace, Mallory Knox and Anna Nicole-Smith, with stickers that say ‘Nikki f*cked your Dad’ scattered throughout. As we settled into our table, reserved with a sign that said ‘for the bad motherf*cker Georgia’ on it, I knew this would be a saucy night. 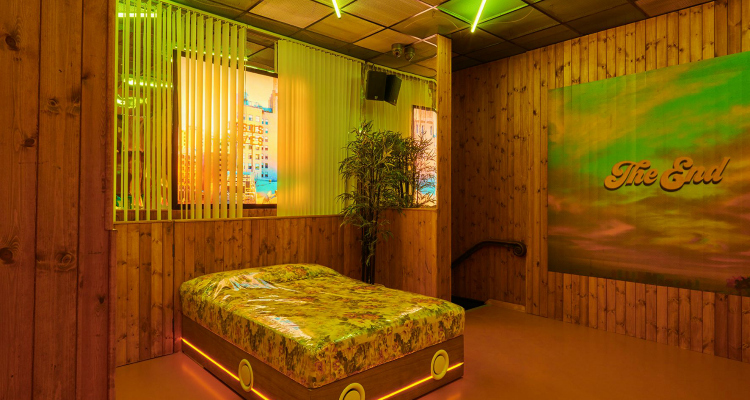 The interiors of Nikki's give off cool party vibes. Crowds of cool 20 and 30 somethings flowed in and out of the bar at a steady pace, as party hits boomed and the neon light-covered ceiling cast an orange hue over those that decided to dance. Past the bar is a perfect spot for some Insta-snapping, a somewhat out of place motel scene with a double bed, blinds and a telephone, with a large wall hanging next to it inscribed with the words The End in retro font. Soundtracked by the likes of Dua Lipa, Raye, Artega and Dolly Parton, groups lined the blushed pink sofas and high stools, convening for long-awaited catch-ups, first dates and after-work drinks. Photo op for the 'gram? We hit the cocktail list with a wide selection of delicious tipples to choose from, if you’ve been to Blame Gloria you may remember drinks such as the Purple Haze, a Palma Violet-inspired concoction which has been reinvented for Nikki’s as the Violet Femme (£9.90). The fruity and punchy Flaming Zombie (£11.50) also ventures from Covent Garden to Hoxton in a blaze glory, bringing plenty of photo opportunities along with it. Tommy’s Margarita (£10.20) was a deliciously sharp hit of fresh lime, agave and a generous splash of tequila, which I enjoyed as the Toasted Popcorn Sour (£10.20) omitted a gloriously nutty aroma. 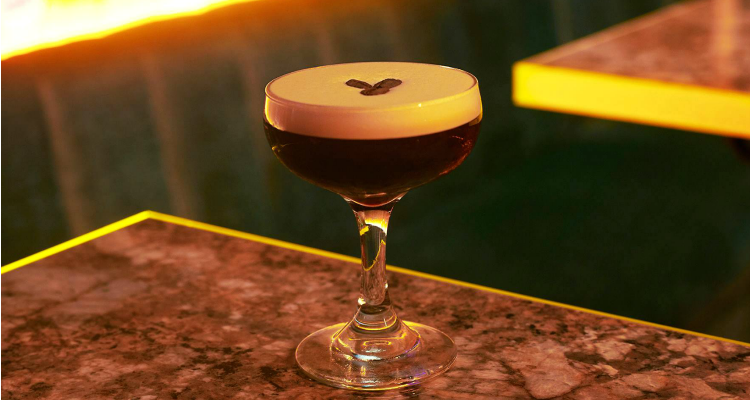 I must also say the arrival of the XOXO Espresso Martini (£10.20) was a welcomed treat, as in my eyes, the guys at Adventure Bars have mastered one of my favourite cocktails. A gorgeous blend of rich coffee with a delicate sweetness and creamy coffee taste, a perfect pick-me up before heading to take a load of pics on the motel bed for my social feed. Would 100% recommend this gorgeous beverage. Nikki’s is a hedonistic haunt that champions badass women with creative cocktails and a non-stop party playlist. It’s an ideal spot for hanging out with the gang, and a quick photoshoot for the 'gram.